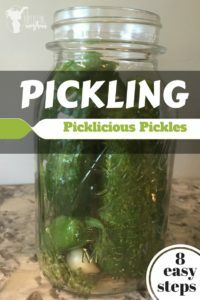 This post will teach you how to bottle cucumbers to make delicious pickles. 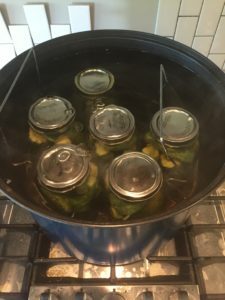 Read this post for CANNING TIPS AND TRICKS to help you in your canning process. 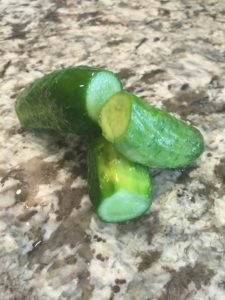 Step #1 – The night before you bottle your cucumbers, you need to cut the end stems off. This improves taste, and makes the pickles crispier. 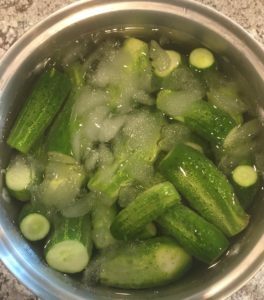 Step #2 – Place your pickles in a bowl of ice water and leave in fridge over night. Step #3 – The next day start by making the brine for the pickles. Bring this mixture to a boil. 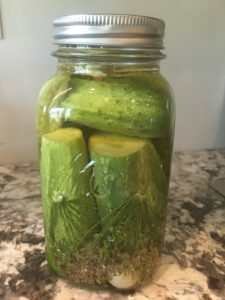 Step #5 – Place as many cucumbers as you can inside the jar! This becomes a jigsaw puzzles. Shove them in tight. When they are processed they will shrink a little bit. Fill it up as much as you can! 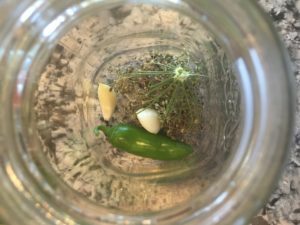 Step #6 – Fill the jar up with the brine that you made first. It should have come to a boil by now. 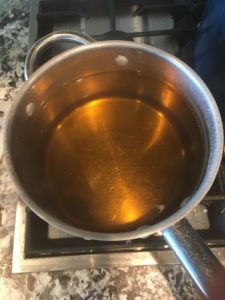 If it came to a boil before you are done stuffing your jars, just turn in down on low. Fill them up when you are ready! 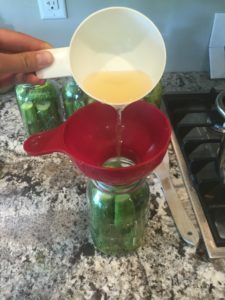 Step #8 – You are now ready to process your cucumbers. Process for 20 minutes PLUS added time for increased elevation. 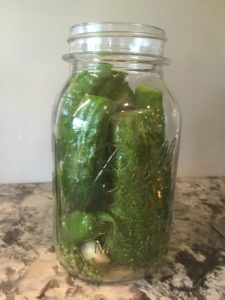 Visit my CANNING TIPS AND TRICKS post for needed added time. Place them in your water bath canner. Make sure the water is covering all of the jars. Start time when steam is coming out of the 3 holes on the lid. DIY – The ULTIMATE PVC Bow and Arrow!